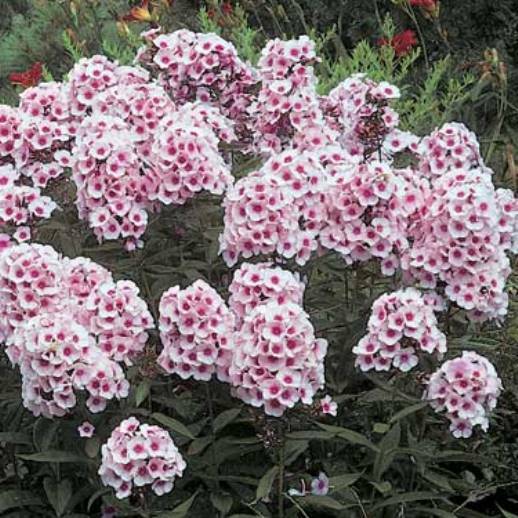 Phlox paniculata 'Bright Eyes'. 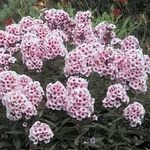 A delightful addition to a sunny garden with its pretty pink flowers with hot pink centers. The sweet fragrance will be enjoyed by hummingbirds and butterflies for many weeks. The green foliage is very resistant to disease.